Updated in April with new graphics for Chinese Checkers, Dominoes and Draughts! TheGameCreators policy is to keep improving our applications and DLCs. 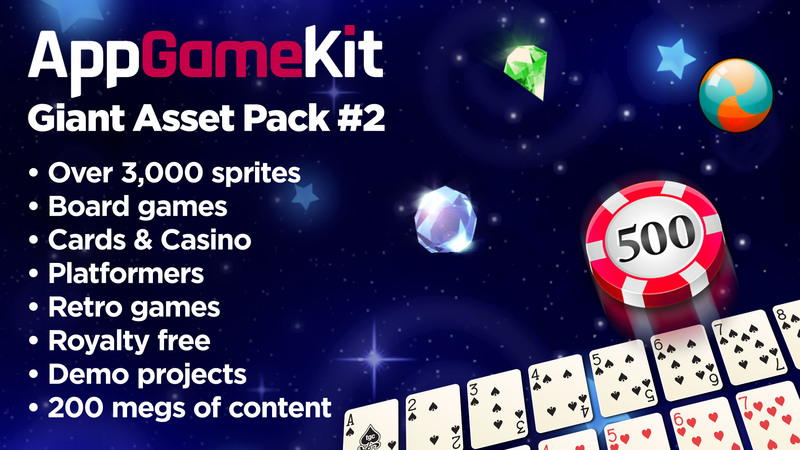 This sprite pack for App Game Kit contains over 1,500 sprites and sprite sheets providing more than 3,000 individual puzzle and adventure orientated sprites. 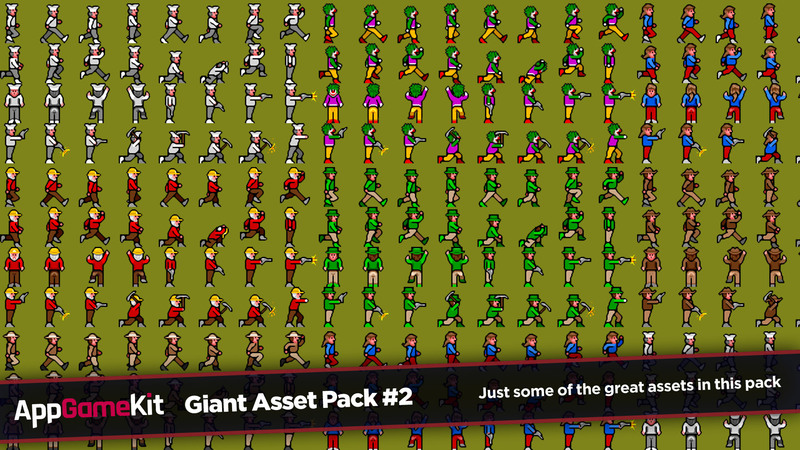 With this pack, you can improve your 2D asset collection, save development time and add gloss to your game projects. 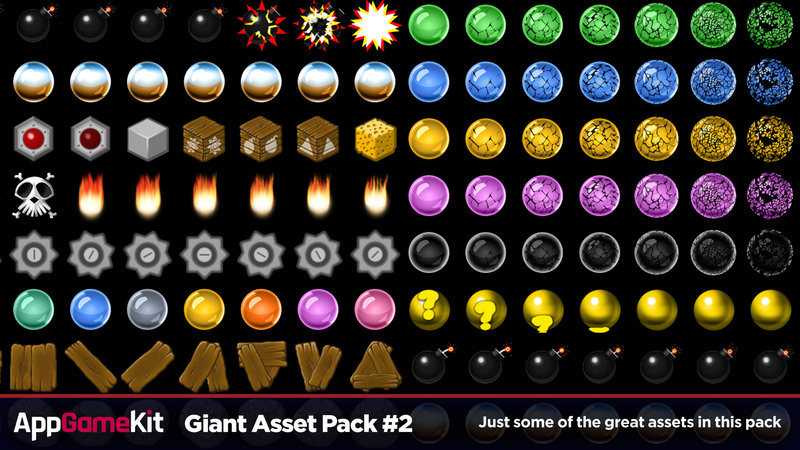 This DLC is complete with a number of code demonstrations showcasing the sprites, making this pack is an essential addition to any coders collection. Board Games - 100's of boards and playing pieces, including blackjack, chess, mahjong and many more. Gems - 100's of gem sprites, for use as single or animated sprites. GUI - Over 100 buttons for great looking interfaces. Icons - 64 Mixed icons for many puzzle genres. Jewel Match - 74 themed buttons, icons and sprites for your own jewel match game. Marbles - A sprite sheet of 64 different marbles for a wide range of games. Platformers - More than 300 cartoon styled platforms and scenic sprites. 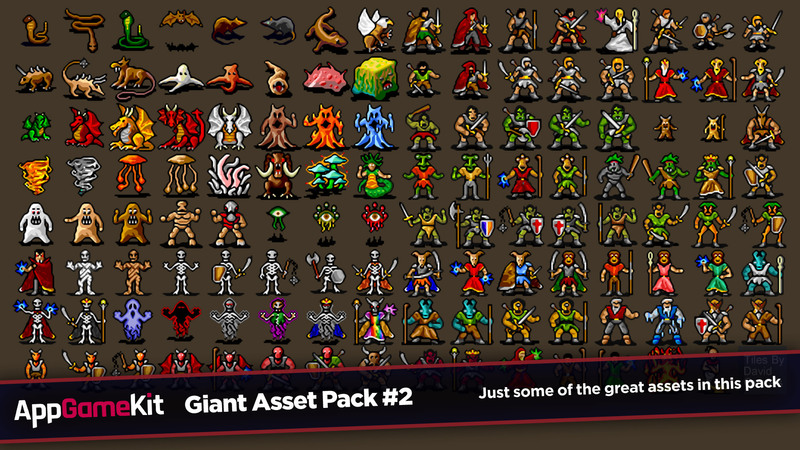 Players - Players - 224 player sprites for many adventure and platform genres. Rocks - 230 rocks, use individually or combine to make your own. RPG Huds - A sheet of more than 450 Role Play Game ornate and medieval themed hud elements. Props - More than 400 scenic sprites for RPG games. Tile sets - Easy to use tilesets featuring 192 different terrain features. 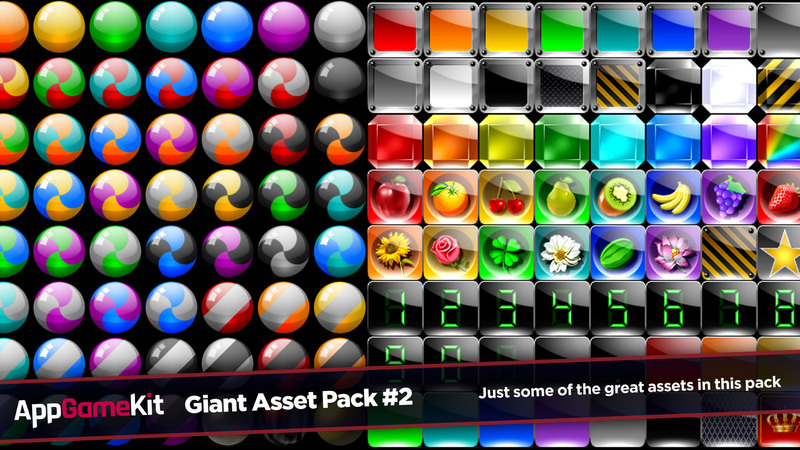 The pack will effortlessly install onto your system and can be used instantly in your games or combined and edited using 3rd party image software to create thousand of different sprites. 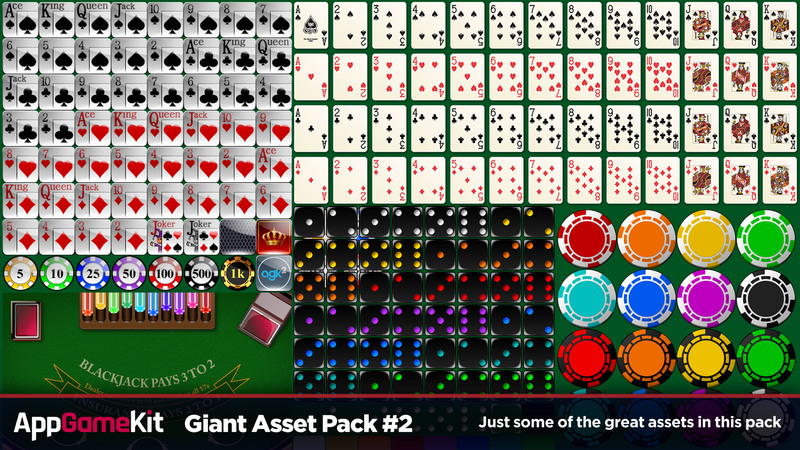 All the assets in Giant Assets Pack 2 are royalty free, meaning any game you make with them can be legally sold by you.